Following reports that Seungri and Yoo In Suk were suspected of embezzling funds from Burning Sun, the duo have now been booked for it as police found that money from the club was suspiciously moved through various accounts. Additionally, the CEO of Jun Won Corporation (42% stake in the club) was also booked on similar charges. While police have said they have evidence of Seungri being involved in providing prostitution on two separate occasions (1/2), they are now investigating a third alleged incident involving foreign investors and a restaurant. On April 10, JTBC’s “Newsroom” reported that Seungri made a reservation at a famous restaurant located in Gangnam on December of 2015 to entertain foreign investors and later provided prostitution services for his guests. After obtaining information about this, police have recently started an investigation to confirm the validity of the allegations. According to a worker at the restaurant, the police began investigating the restaurant shortly after Seungri’s scandals began to come to light in March. When JTBC asked if Seungri reserved the first and second floor of the restaurant, the staff member esponded, “He reserved a large room on the second floor.” Police suspect that the group dined at the restaurant and then moved to a secondary location for the sexual services. A source at the police stated, “We’ve obtained the schedule of Seungri’s party from that day.” The police are looking into whether the women were initially present at the restaurant, and the number and identities of those who were present. Seungri’s lawyer has denied these allegations being investigated by the police by stating that they are not true. For everybody asking about what’s taking so long to charge Seungri, police say investigations are still ongoing and basically the reason his case hasn’t been forwarded to prosecution yet is because he has more charges against him and they’re going to send the case all at once. The investigations surrounding Seungri, who was also part of the chatroom, are still ongoing. He was booked on charges of sharing illegal footage, but it was not confirmed whether or not he filmed any footage. 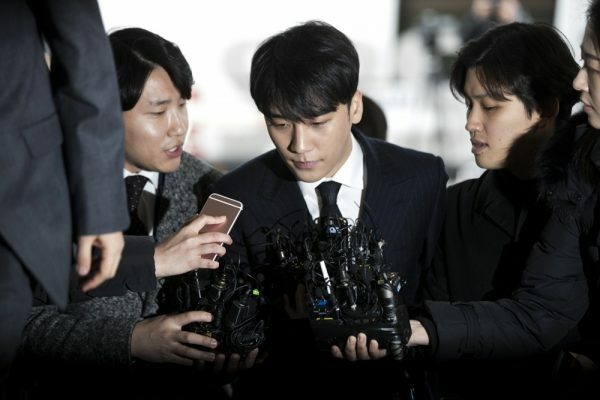 As Seungri was also booked for several other charges including prostitution mediation and bribery, the police plan to forward his case to the prosecutor’s office after all of the investigations are complete. Sounds reasonable enough, though I definitely understand the concern from observers considering the police are knee-deep in this themselves.